Christmas has made it's way to Raleigh!!! No not the snow or cold temps! But the Holiday spirit and the festive Holiday decorations. It's also the time to start the Holiday shopping. With all that we have going on this time of year, I love when I can get my Christmas gifts all in one place. Don't you?! 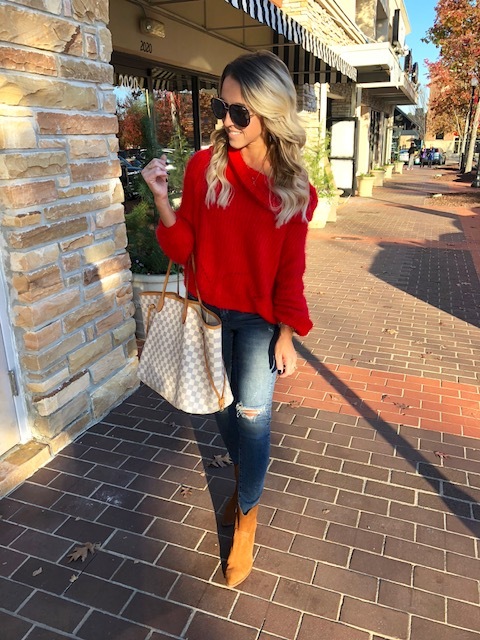 If you're local to the Raleigh/Cary/Durham area, Cameron Village is where you need to go. You can get everything on your list, even something for the puppy!! I love stopping into the Local Squirrel for unique and local gifts. This store has so much I know my mom would love!!! 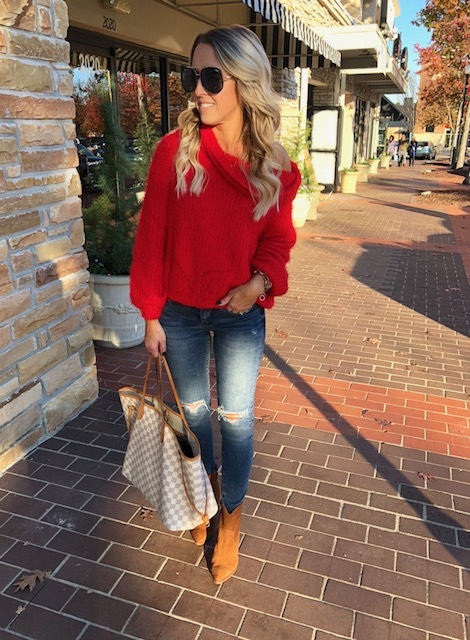 My bright red and festive sweater is from Ivy & Leo, the boutique you need to stop in to find a huge selection of clothing and jewelry!! Think your mom, sister, BFF...so many great finds here. 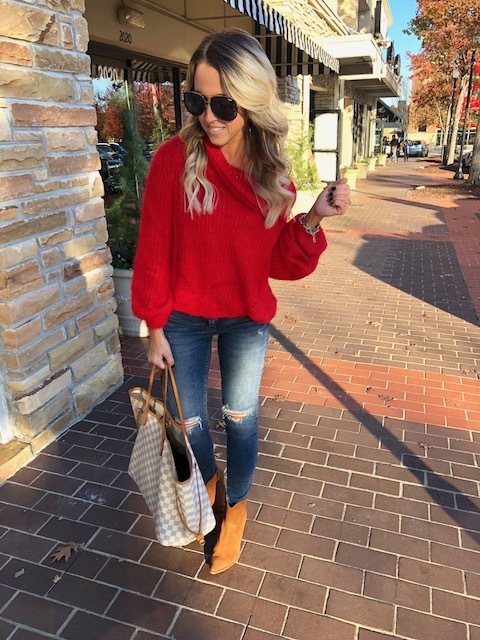 I love this bright red sweater, and red isn't usually a color I wear! The exception being the Christmas season!!! So many great and unique shops!! 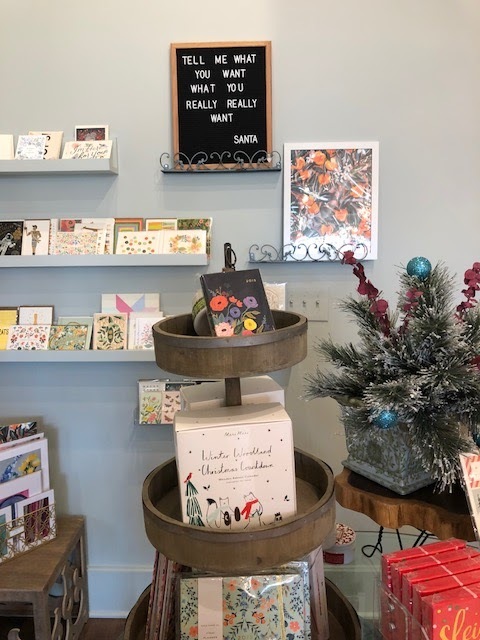 It'll be so easy to find just the right gift for those special people on your list!! 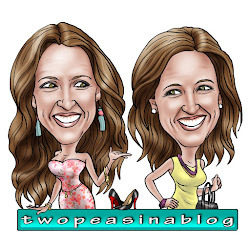 If all the shopping works up an appetite, there are so many restaurants to chose from too!! *Kale me Crazy - coming soon and I can't wait to try!! 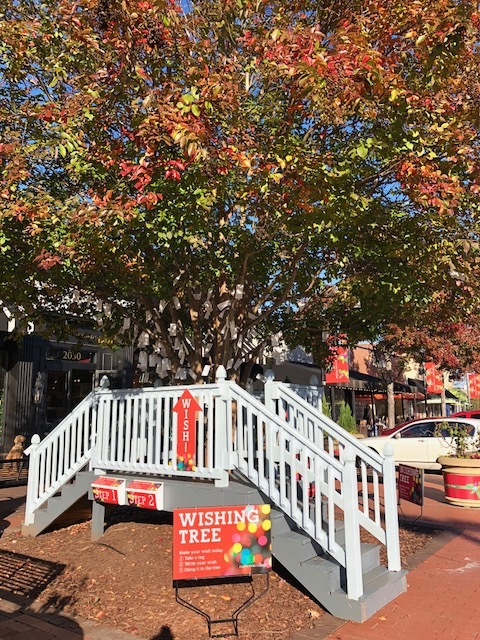 Before you leave Cameron Village, stop and make a wish at the Wishing Tree!!! I love this! 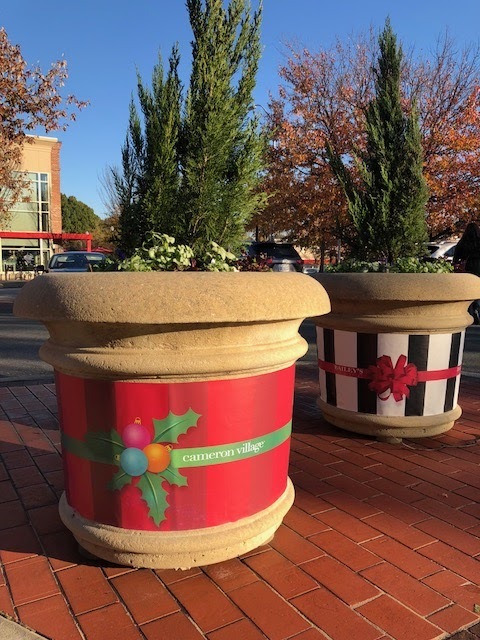 Thank you to Cameron Village for sponsoring today's post.